This 8 week course focuses on introducing and strengthening basic commands, as well as teaching your dog to heel. Basic commands such as: sit, down, come, wait and stay are introduced and reinforced and some new commands are added to improve your dog's overall knowledge and performance. 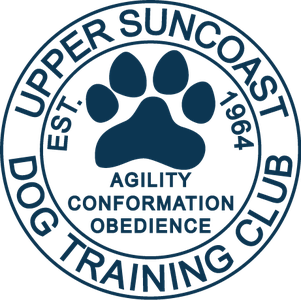 This course offers a great way to gain greater control of your dog and sharpen response to commands. Techniques taught in class will also expand your training options to include competition obedience, agility and more! Requirements: Any dog age 6 months or older. If there is any online homework assigned in your class, you can find it here by clicking on the dog. You will need a passcode provided by your instructor to enter this area.